One of my wonderful school friends, Melanie, had a baby girl the other day. The new baby's name is Olivia. Isn't that gorgeous? 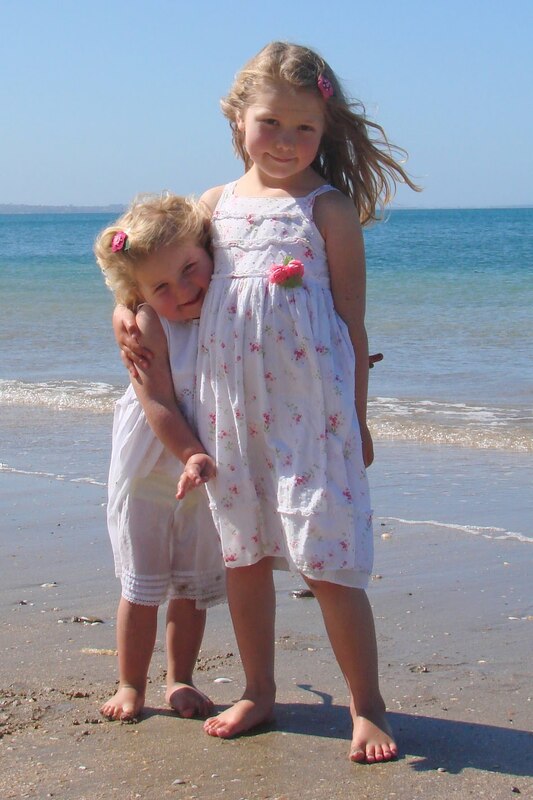 She makes Melanie's other daughter, Chloe, a big sister, which, as many of you will know, is a very important job. I sent them a parcel full of bunnies today. Sisters looks so cute in matching outfits. My own oldest girl was told off this morning by her little sister for being too bossy. "Mummy said not to boss your little sister around!". "Yeah?" was the indignant response from Miss Bossy. "Well that was yesterday." Don't worry, she's cuddling her, not strangling her! Who thinks I've got my work cut out for me with that one? Too smart for her own good sometimes!! Too funny! 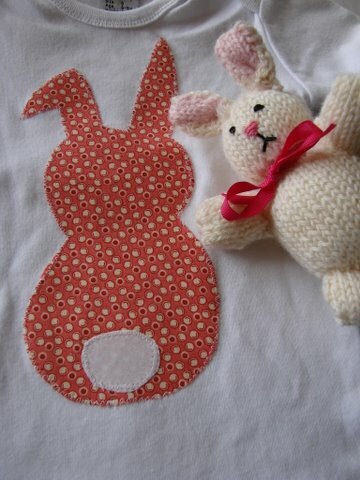 How clever are they...I love the sweet bunny shirts & the knitted bunny, gorgeous! I think they're gorgeous! That's a strangle, if ever I saw one! 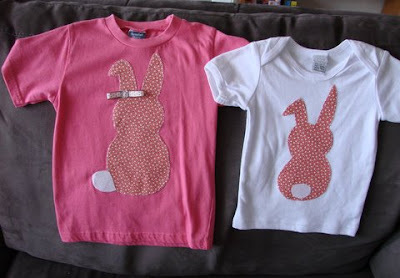 Love the bunny shirts! That doesn't look like a cuddle to me! There's nothing quite like that love hate sister thing. I have three who I adore, but sometimes I still want to strangle and my three girls are carrying on that tradition.